Where’s the most epic place you’ve ever enjoyed a cider? We’ll bet even your top contender isn’t quite as wild as sipping a cider aboard a giant train on a mountainside in Alaska … are we right? Time to pull out your bucket list because here’s something new to add to it: Aboard the Alaska Railroad, which runs along 656 miles from the Gulf of Alaska to Fairbanks, you can order a Double Shovel Cider in the dining car. So, while you’re carving through some of the most astounding wilderness and natural scenery, (think: views of Denali, wildlife, glaciers and the second-fastest moving tide in the world), you’ll also be enjoying a local cider from Alaska’s first micro-cidery, located in Anchorage. Double Shovel’s ciders are crafted with apples from Alaska and Washington State. If you’re visiting Anchorage, Alaska, Double Shovel also has a tasting room. 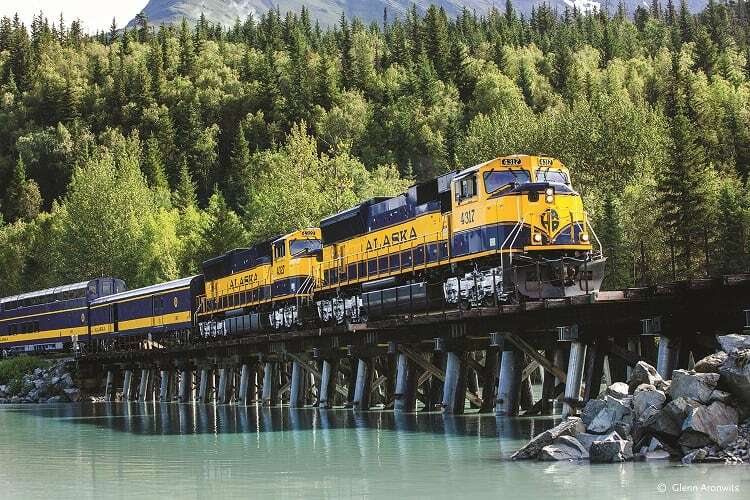 But, there’s something about the idea of being aboard the Alaska Railroad, whether for a day trip, a special event or just to get from one place in Alaska to another, that’s captured our imagination. 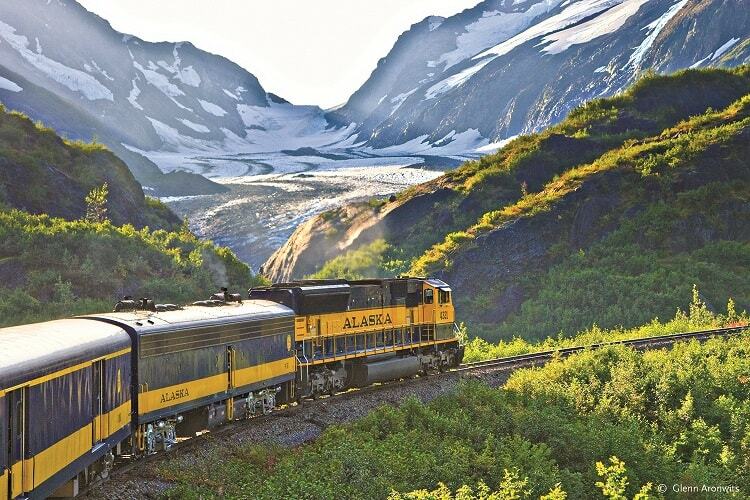 The train isn’t an ordinary commuter rail — it’s a super-comfortable, customer service-oriented way to travel and take in Alaska’s incredible scenery. And, the fact that there’s local craft cider on board just makes it all the sweeter. All aboard! For more info, visit alaskarailroad.com.